How cool is this?!?! 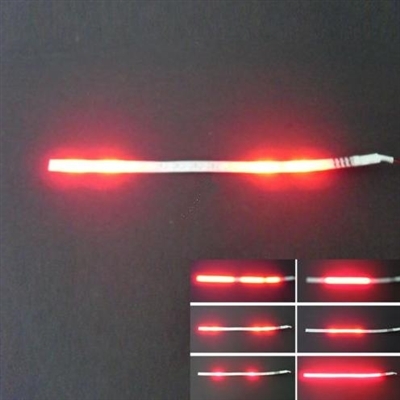 A 1 foot long LED light strip that flashes like Knight Rider's car! Plugs into our Lighting Kit or can be wired directly to any 12v vehicle. Light strip automatically alternates between different lighting patterns. There's no extra control model - the brains are all inside the waterproof, flexible, low power consumption LED light strip! And it can be cut shorter in 3 LED light increments. By far my son's favorite upgrade! This was a simple and nice accent to keep the kids lighted up at night. Summer time riding is a must around out neighborhood. The wiring in with the light kit and the easy to use wire boxes made this super easy. Be patient tho, read twice cut once.